Names that start with the letter U aren't always favored very highly but Ulysses is a great exception that deserves more usage. 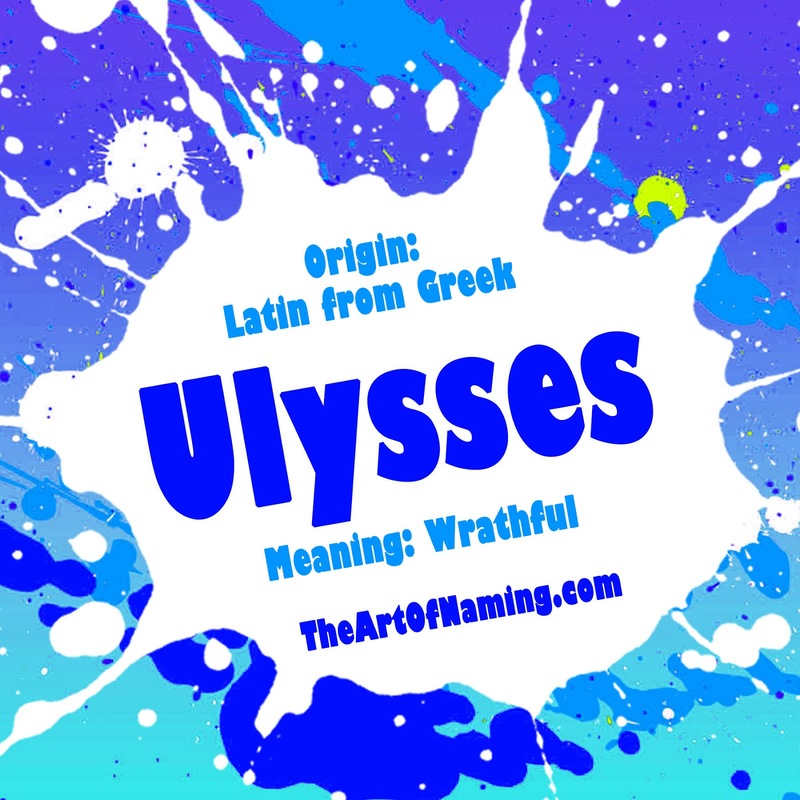 The masculine name Ulysses is the Latin form of the excellent Greek mythological name Odysseus. Odysseus is said to be derived from the Greek οδυσσομαι (odyssomai) which means "to hate, wrathful". While that isn't the greatest meaning ever, both of these names are strong and interesting. In Greek legend, Odysseus was a hero of the Trojan War. Homer's The Odyssey, follows Odysseus's journey back to his kingdom and his wife Penelope. As for the name Ulysses, it was used as the title of a book written in 1920 by Irish author James Joyce. This story was loosely based on The Odyssey and was adapted into a movie in 1967. The most famous man named Ulysses in American history is Ulysses S. Grant (1822-1885), the commander of the Union forces during the American Civil War. He later became the 18th President of the United States from 1869-1877. His full name was actually Hiram Ulysses Grant. This was also the name of George Clooney's character name in the Coen brothers' film O Brother, Where Art Thou? Other forms of the name include the feminine Ulyssa, the French Ulysse, the Italian Ulisse, the Portuguese Ulisses and the Spanish Ulises. Ulysses has been used as a name in the US since records began in 1880. It has always ranked within the Top 1000 up until the mid-2000s. It received the most amount of births in a single year in 1999 which was 272. Currently, Ulysses ranks at #1109 in 2014 with 171 births. What do you think of the name Ulysses? Does it deserve to rejoin the Top 1000? Or should it remain uncommon? I Want To Change My Name! Where Do I Start?